A solar panel installation contractor will be able to install home solar panels that will produce energy to power either your electricity (solar PV) or your hot water (solar water heating system). 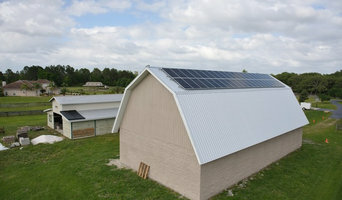 After the installation costs, you won’t need to pay for the energy you use as you are, in effect, producing it yourself. And even better, if you produce more energy than you need and feed it back to the national grid, then you could receive money from the government’s Feed-In Tariffs (FITs). What’s more, solar energy is a renewable energy that will last longer and be more environmentally friendly than traditional energies such as coal, oil and gas. 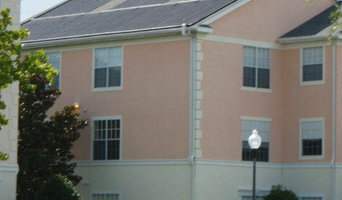 All the more reason to talk to Orlando, FL solar panel companies and hire Orlando, FL solar panel installers to fit them for you. There are three main types of solar panel PV (photovoltaic) panels that can generate electricity for your home: monocrystalline, polycrystalline and hybrid. The basic monocrystalline celled panels are fairly efficient but will be more expensive than polycrystalline, which are a little cheaper. Hybrid panels use crystalline cells with a thin layer of film which attracts more energy. This makes hybrid models the most efficient solar panel installations, but also the most expensive. 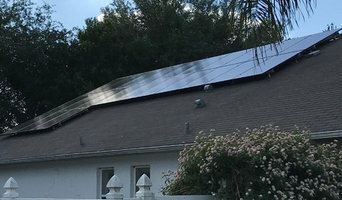 To talk about which panels are best for your home and how much energy solar panels produce, contact Orlando, FL solar panel companies and installers on Houzz. If you want a solar panel installation designed for your new house or renovation then you can discuss bespoke plans with Orlando, FL renewable energy installers, but you may also want to involve other contractors, builders, roofers and specialists whose work could overlap. Here are some related professionals and vendors to complement the work of solar energy installation: Lighting, Swimming Pools & Hot Tubs, Electricians. 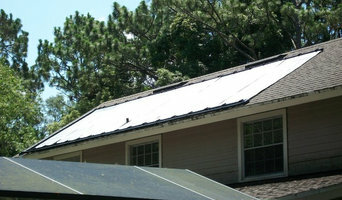 Find solar panel installers on Houzz. Search the Professionals section for Orlando, FL solar panel companies and solar panel installers or browse Orlando, FL photos of completed solar panel installations and look for the solar energy contractor’s contact information.